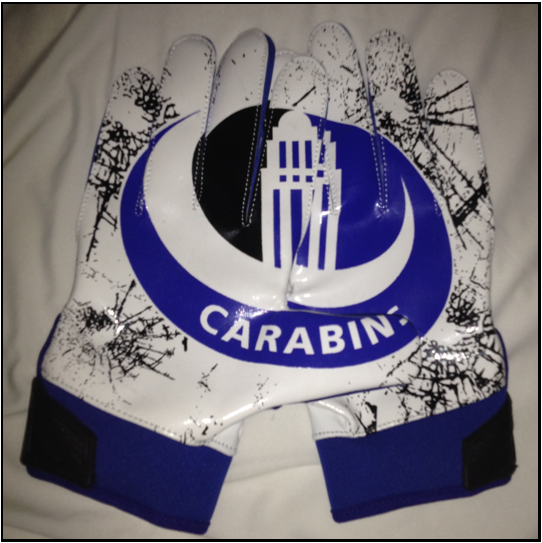 Custom made with you team logo on the palm! 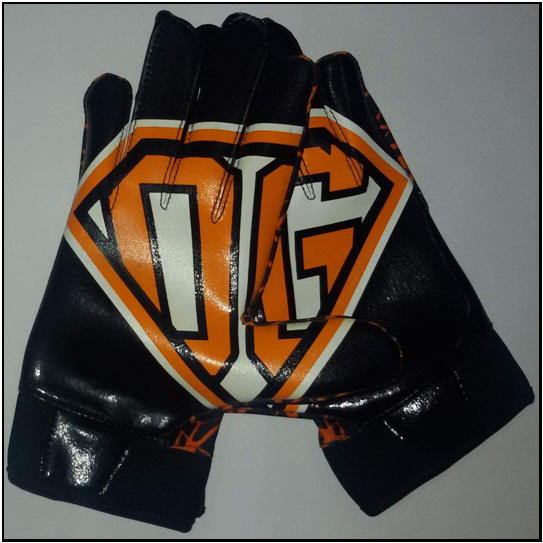 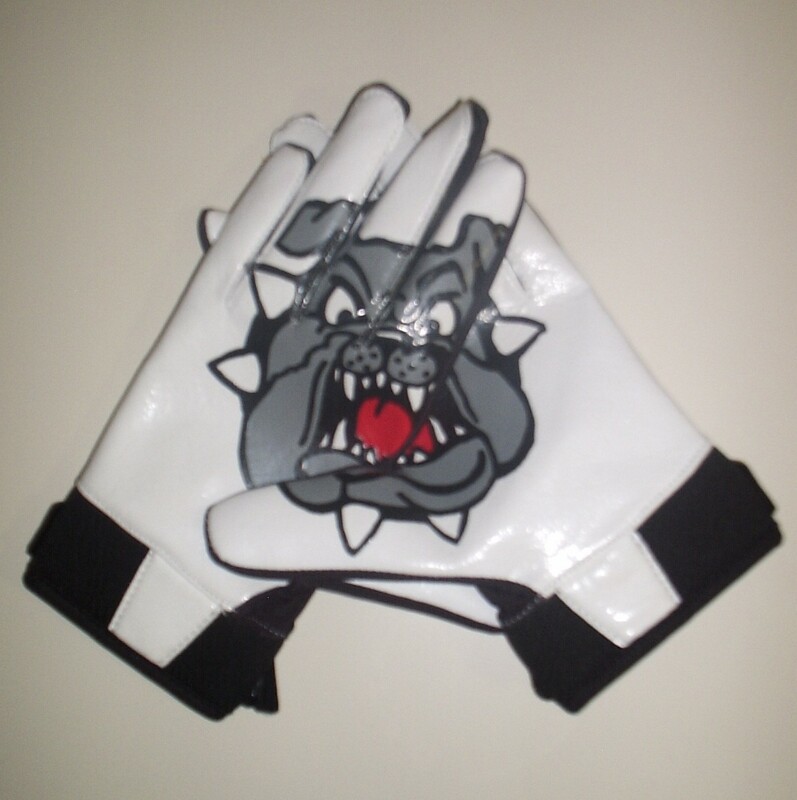 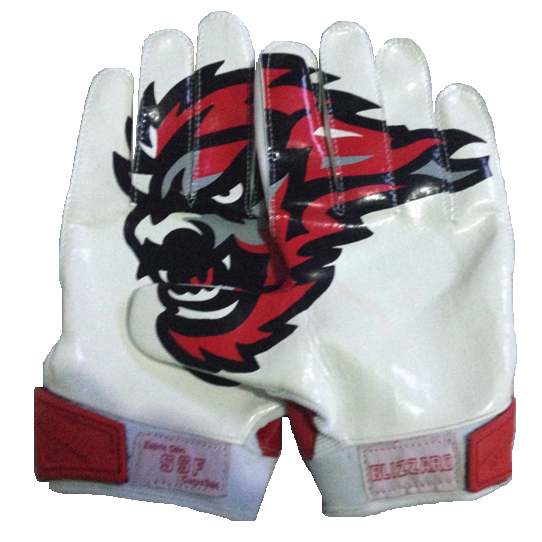 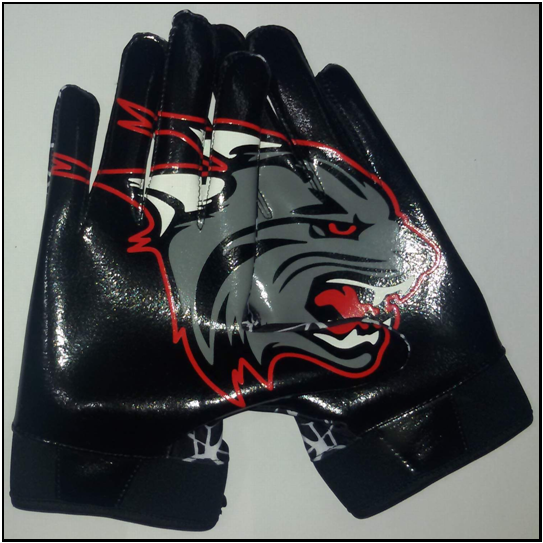 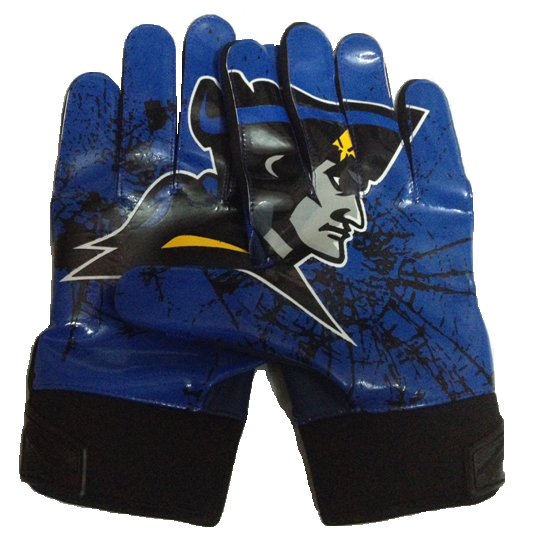 Our custom football gloves have velcro closure wrists. 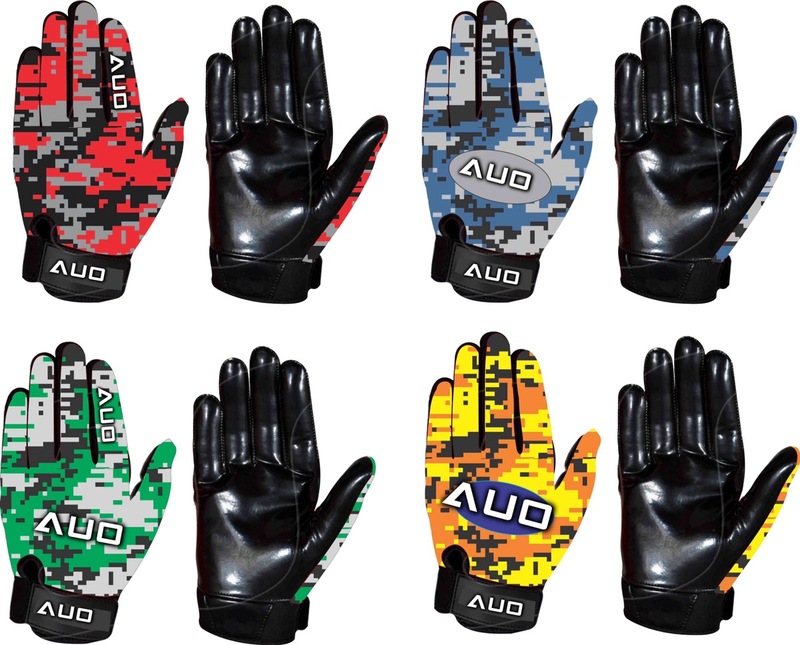 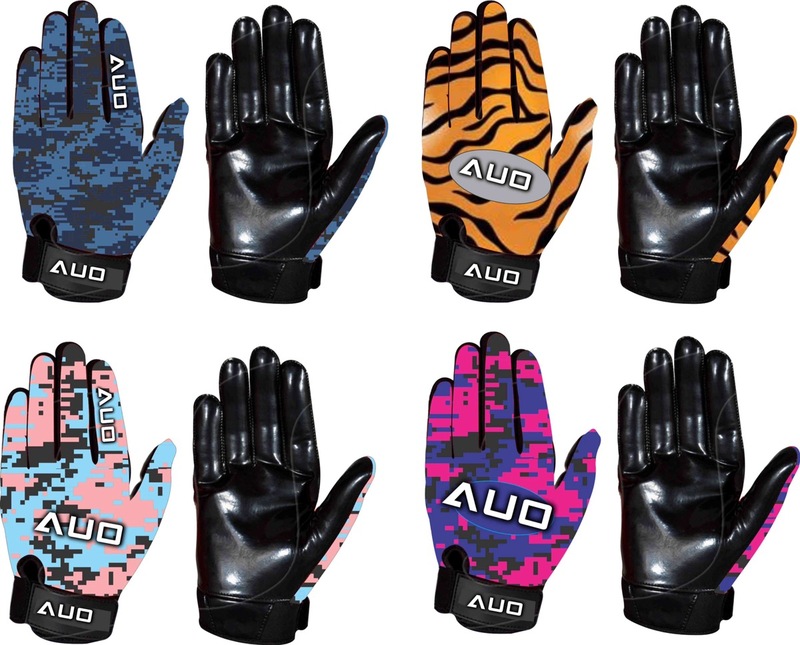 Skill position gloves have a silicone palm that can be made in the color of your choice. 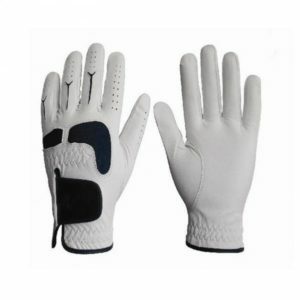 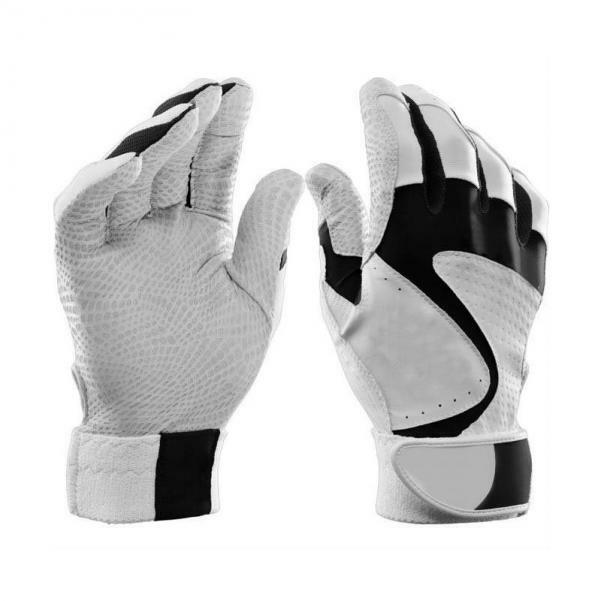 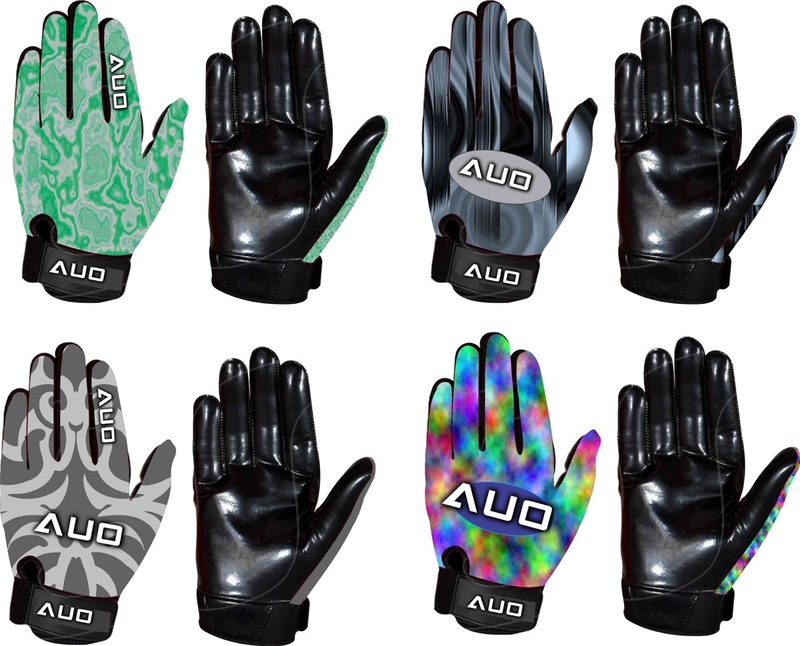 Back of the glove can be finished with your choice synthetic leather, spandex or 4-way stretch polyester.